I don’t spend much time playing video games anymore, but I always make time for Forza games when they come out. Racing simulators are my favorite and this is one of the best. I also know a couple people who work on the game so it’s fun to see what they’ve been up to. 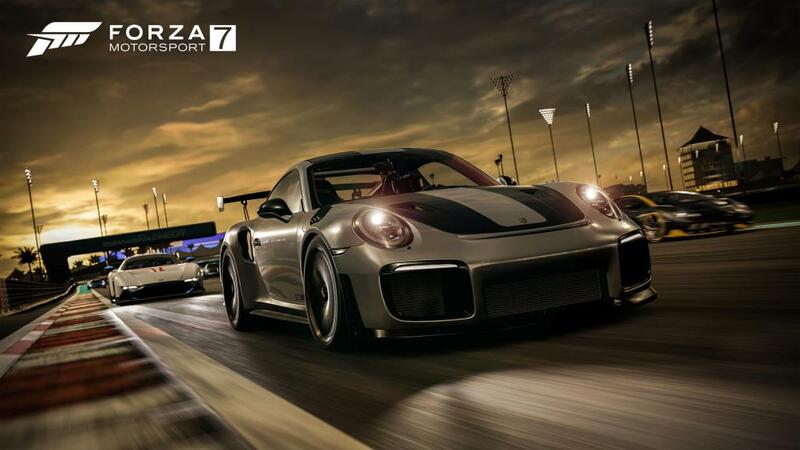 Forza 7 is gorgeous and the driving experience is wonderful. This version adds night racing and dynamic weather conditions. You might start in the day time or dry weather but you could end in night time or rain. Other than that, though, it’s another series of races to enjoy. If you liked the previous ones, you’ll like this, but if you’re hoping that this version adds an epic story line, look elsewhere. One thing that I’m unhappy with in this version is the lack of incentive to make the game more realistic. For example, there’s no incentive to turn on realistic car damage. You don’t pay for any of the damage after the race or suffer ill effects during the race. Just smash your way up to the front. Sure, you can change this setting, but it doesn’t give you any more money or lead to faster lap times so how many people will really do this? I’d like to see a cash bonus if you run with damage enabled or maybe a penalty after the race for how much damage you did to your car. Let me play Forza with virtual reality goggles on. I’d probably puke after 20-30 minutes of it, but I still want it. We have all this great real world map data available. Let me plug in an address and drop my car there. I don’t even care how real the graphics are. Just get the turns and the elevation changes to match the real world and I’d be thrilled. How fast could I make it to work on empty streets with a Ferrari? I want to know!